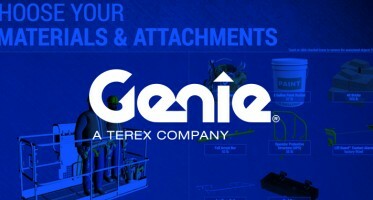 Genie have released an article explaining how their machines benefit the customer and offer a good investment & return. See the full story below. As a leader in the aerial equipment industry, we are always looking for ways to continue “Building the Future.” It’s more than our 50th anniversary slogan; it’s how we do business. Genie fosters a culture of innovation, both internally and externally, that solves customer needs collaboratively and holistically. In our competitive market, it’s easy to get focused on innovations that deliver the best product from a specification standpoint. You know the mindset: Bigger is better, faster is better, etc. 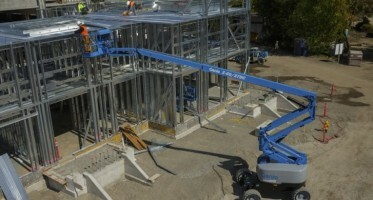 But, that approach doesn’t necessarily provide the best equipment solution for our customers’ needs. Instead, at Genie we focus on understanding how to design our products so that they provide good value; a good rental return on invested capital (rROIC) for our customers. 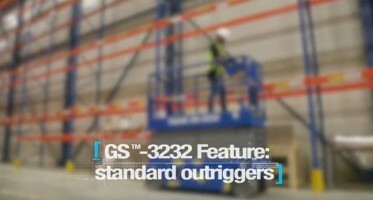 This is rooted in having a deep understanding of how rental companies do business, and the foundation of our approach to developing our next equipment innovations. Our goal with any innovation is to determine how it will benefit our customers’ rental business, and how they will improve their rROIC by owning/operating our equipment. It’s about reducing total cost of ownership, not just the acquisition cost. And, it’s about understanding how rental companies operate because companies with multiple locations nationwide make decisions differently than Mom & Pop shops do. When it comes down to it, the machines we create and manufacture at Genie have to make money for our customers, no matter the size of their business. And for the people who own these machines, they need equipment that will give them a good rROIC. We develop machines with specifications targeted on providing value and that are more versatile leading to higher utilization and better returns. We focus on reducing downtime by developing equipment that is easier to maintain and has fewer service intervals. Basically, our goal is to increase opportunity for rental revenue and decrease downtime, as well as overall cost of ownership to achieve a good rROIC. But, it goes beyond that; we also have to make sure that our customers understand how the advancements we make translate to progress toward their business goals — because innovation for innovation’s sake doesn’t make sense unless it solves our customers’ business challenges. How do we do this? Sometimes, it’s sitting down with customers and educating them on the machine’s improvements. For example, we might ask them, “Do you realize that the cable replacement going from 8 years to 10 years has now just decreased your total cost of ownership and improved your overall rROIC?” and then go on to explain why and how. At the end of the day, it is our job to innovate with customers in mind and demonstrate to customers how Genie equipment and services are designed to help them achieve the highest rROIC possible.